I love holiday music. As soon as Halloween is over, I’m ready for winter holidays and parties. But I still like a little separation between Thanksgiving and Christmas. (Even if I am already doing all my Christmas crafting.) The other day I got really ambitious and started categorizing holiday music. Some songs are decidedly Christmas songs. But some songs are really just winter songs. There are even a few that are really about Thanksgiving but often get lumped in with Christmas songs. So I decided that even if I’m not ready for Christmas music I can start adding in some winter holiday music to the rotation. 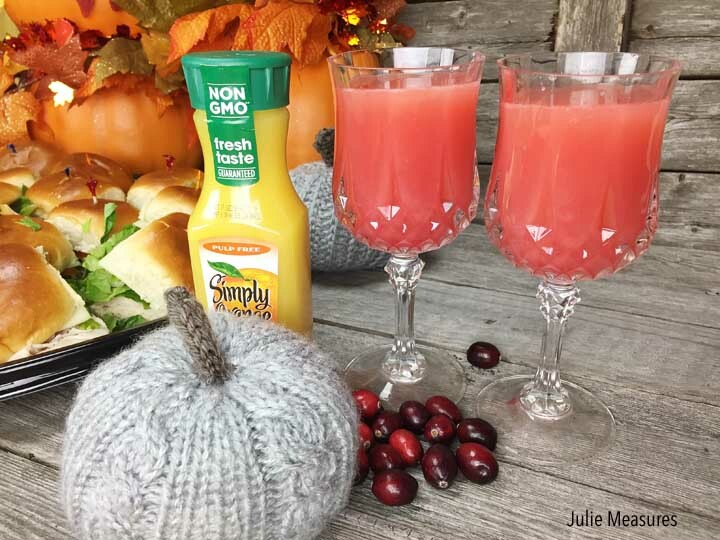 There are so many chances to have parties and get-togethers during the fall. You don’t have to just be limited to the big days of Thanksgiving and Christmas. With lots of family around we often do multiple days of celebrating. And even though we have lots of family I also want to see my friends during the holidays as well, which is why I love the idea of Friendsgiving. The warmth of Thanksgiving, but a little more laid back. 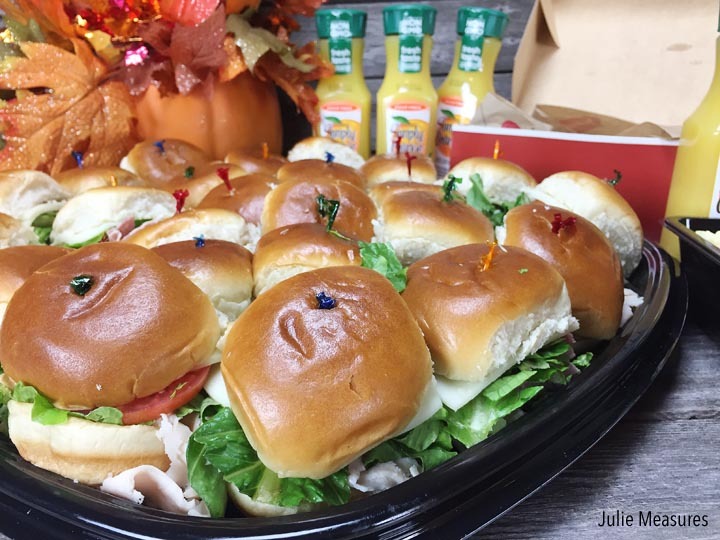 Which is why I was so excited to try Jason’s Deli and their Deli Sliders package for a Friendsgiving Make and Take party. 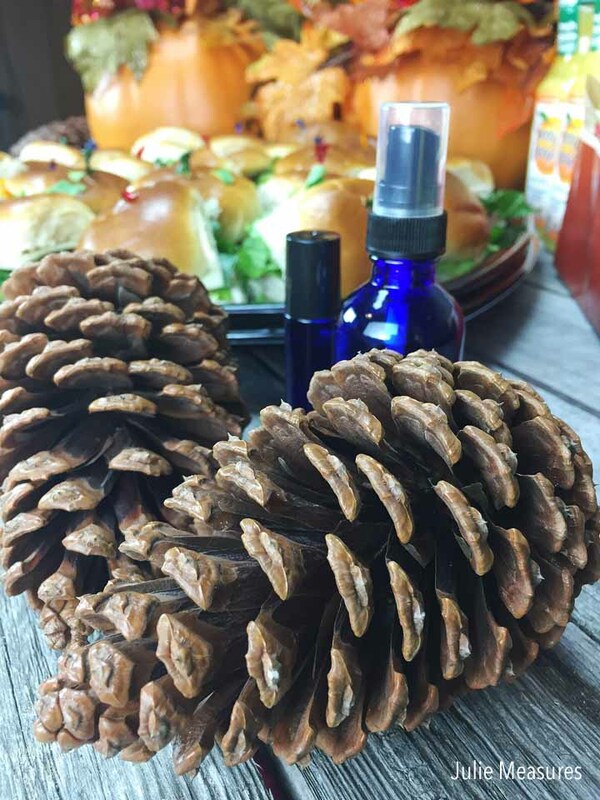 My Friendsgiving party is all about food, drinks, and a simple craft that will get their house smelling perfect for Christmas. 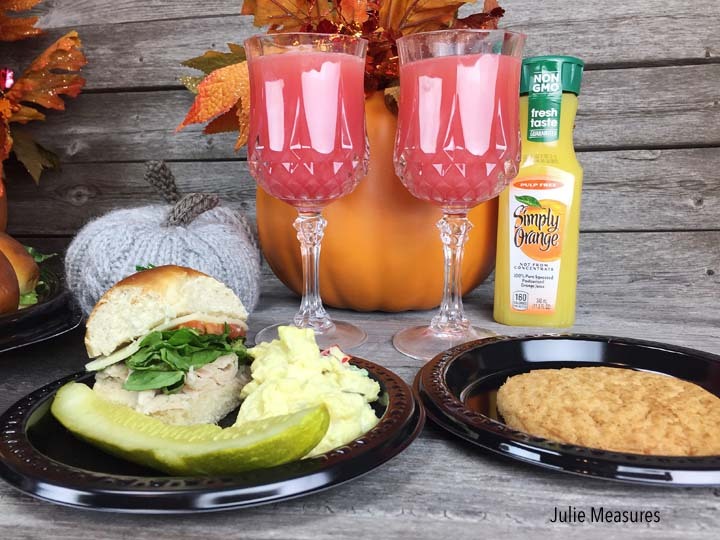 While I was at Jason’s Deli picking up my catering order I also got a few bottles of Simply Orange®. Simply Orange® products are all natural, not-from-concentrate and made with simple ingredients. I’m combing mine with homemade cranberry syrup to make a Cranberry Orange Mocktail. Combine 2 cups fresh cranberries, 2 cups water, and 4 tbsp sugar. Bring the mixture to boiling, then lower to a simmer. Simmer the mixture for 10 minutes before removing from the heat. Strain the cranberry syrup and then let cool. 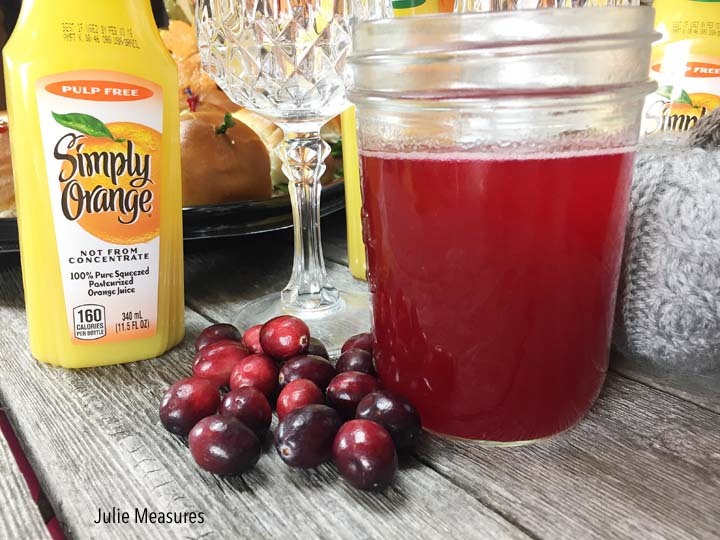 When you’re ready to serve your Cranberry Orange Mocktail combine 1/4 cup cranberry syrup, 1/2 cup orange juice, and 1/2 cup ginger ale. My yard is full of pine trees so I collected several bags of pinecones for a Friendsgiving Make and Take craft. 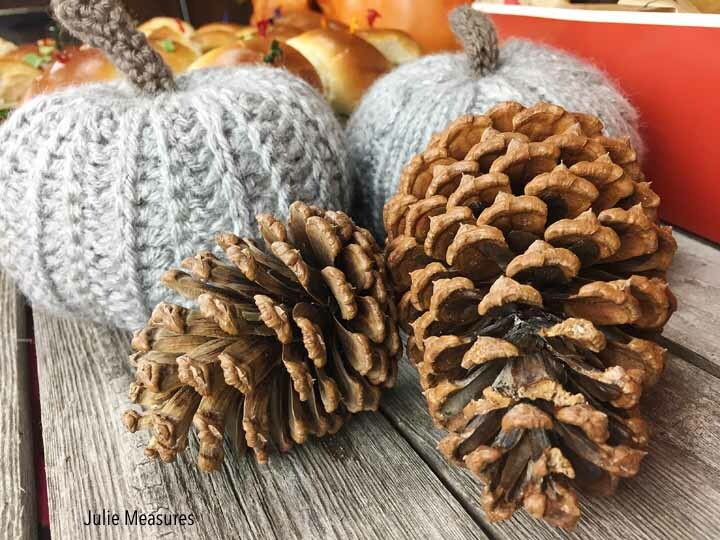 We’re making DIY scented pinecones that are perfect for the holidays. Pick an essential oil scent of your choice, I’m using cinnamon. Prep your pinecones ahead of time by baking them in the oven at a low heat for at least an hour. Combine with water and place into a spritz bottle. Put pinecones into a resealable gallon sized bag. Spray the pinecones with the scent of your choice until they are thoroughly coated. Tell your guests to take their bags home and let them sit for about 24 hours. Then remove from the bag and place around the house. You can refreshen the pinecones as needed. 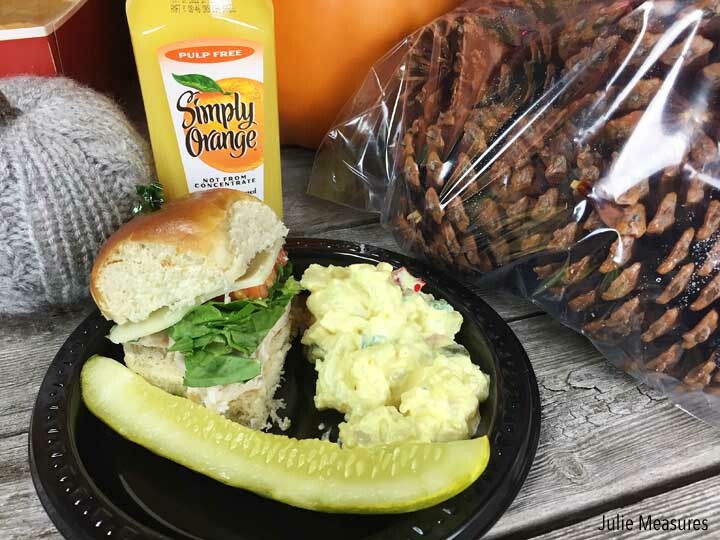 I’m using Jason’s Deli catering for a Friendsgiving party, but Catering for Entertaining is great for any occasion! Jason’s Deli has 4 new catering packages (6 in Dallas and Charlotte) that will change the way you think about affordable catering. 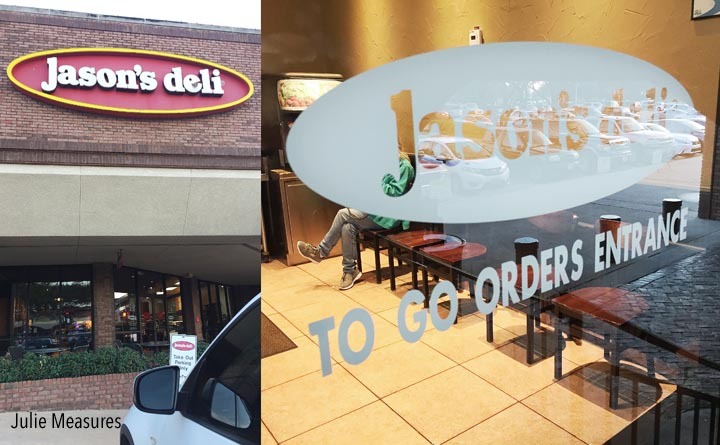 These are your favorite Jason’s Deli foods that make up their Catering Menu. While I ordered my tray for pick-up Jason’s Deli offers free delivery from 4-6 pm on weekdays and all day on weekends (valid at participating locations). Customers must use the code FDSC when ordering online. My Jason’s Deli location is super convenient so I scheduled my pick-up when I was already going to be driving by. Jason’s Deli are catering experts, as well as family owned and community focused. Which makes them a great choice for Friendsgiving or whatever party you are hosting next! 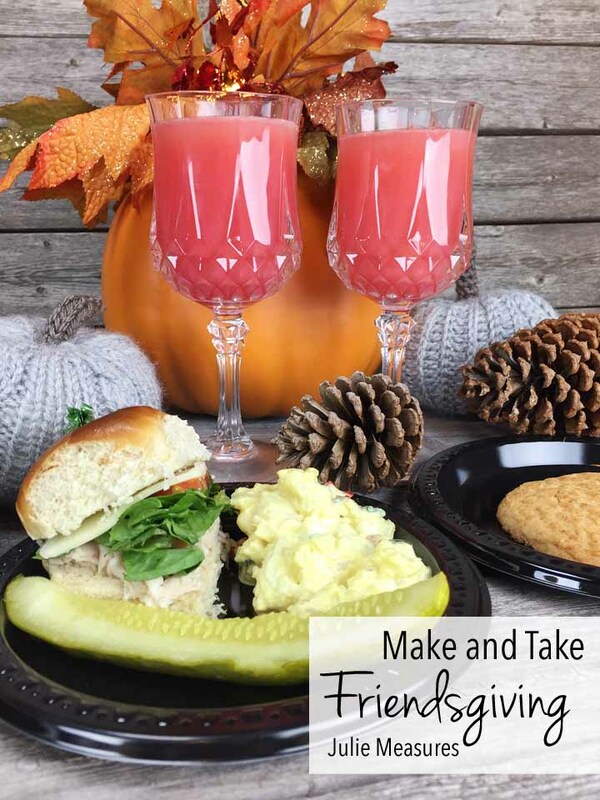 Are you hosting Friendsgiving or another fun event? 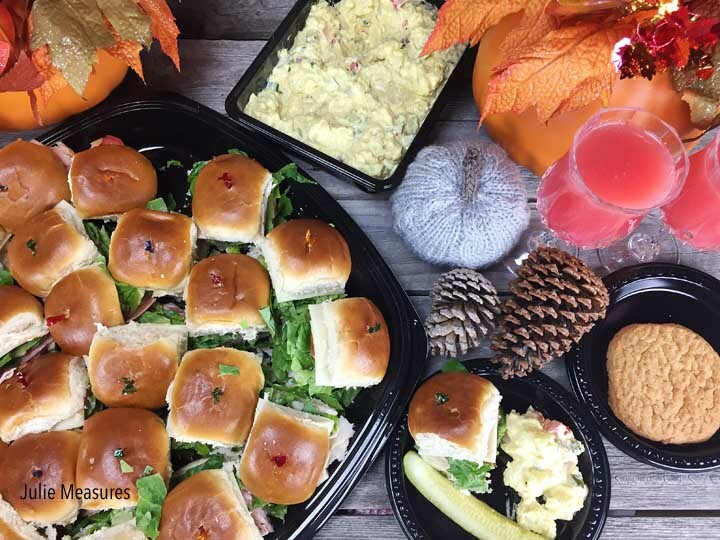 Find a Jason’s Deli Catering option that fits your party!